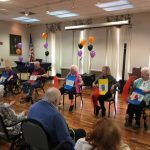 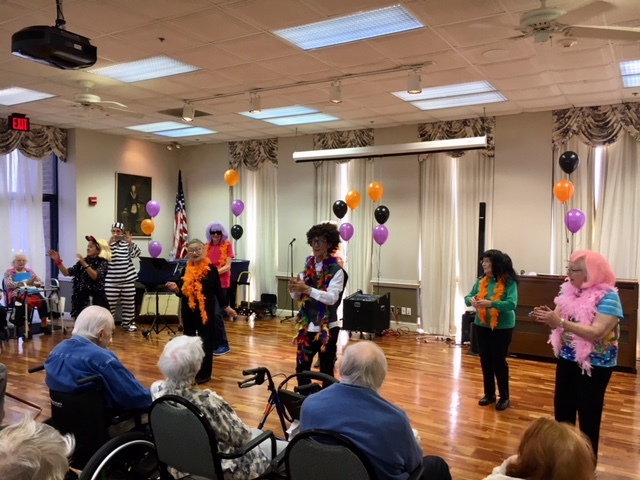 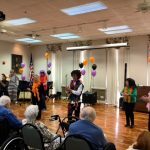 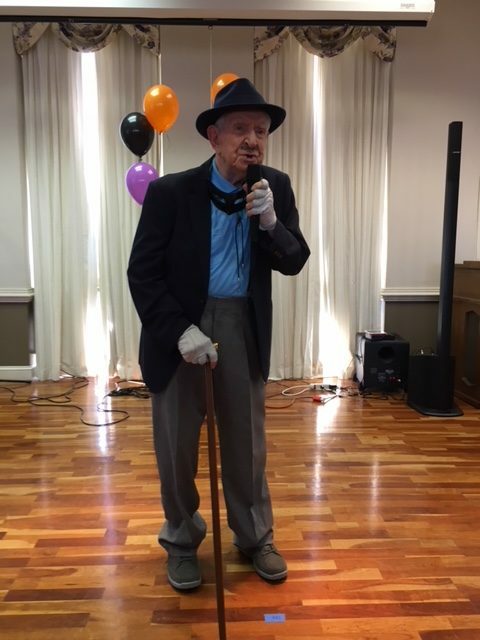 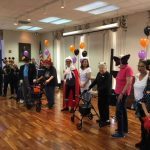 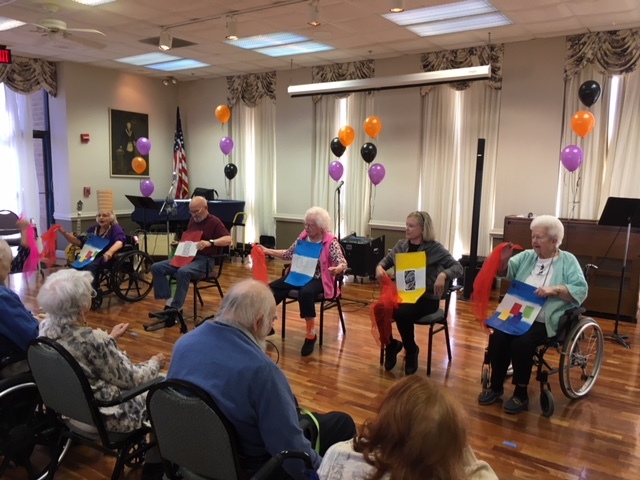 Our Halloween Spooktacular Talent Show was such a fun way to end the month of October at The Fountains at Washington House. 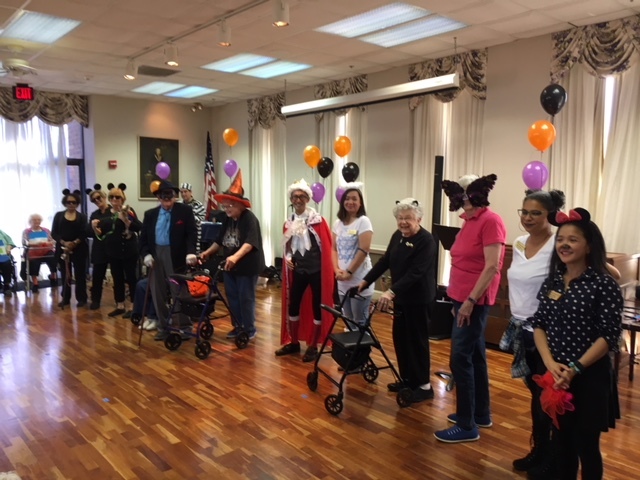 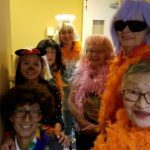 Residents and associates wore their fun costumes and paraded during lunchtime to greet the residents. 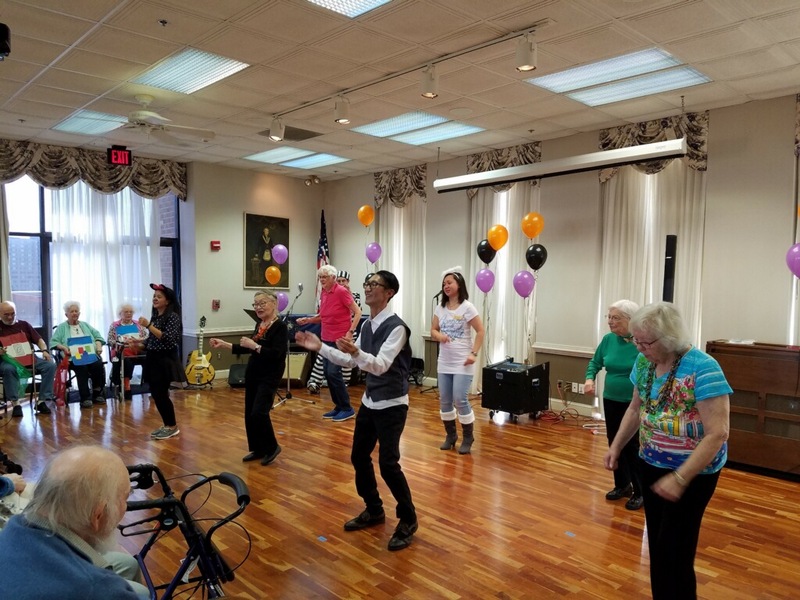 Then an afternoon of music and dancing was held in the Sky Room featuring the talents of residents and associates. 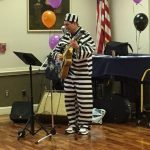 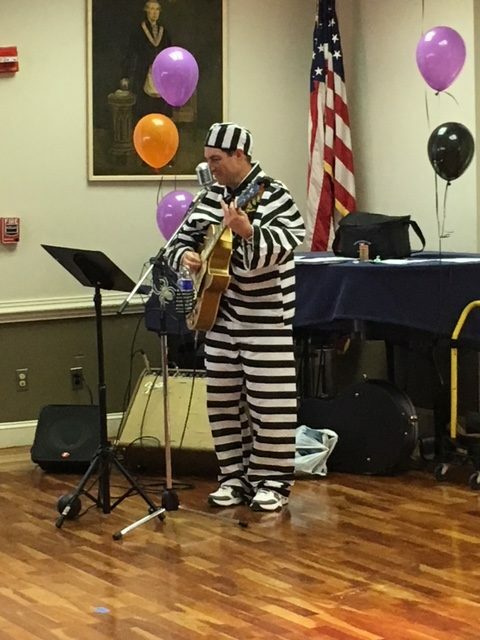 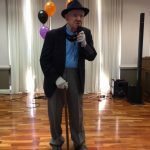 In between the costume changes, the residents were entertained by a local vocalist and guitarist Mr. Ernie Tolley. 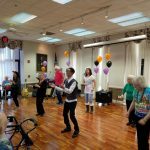 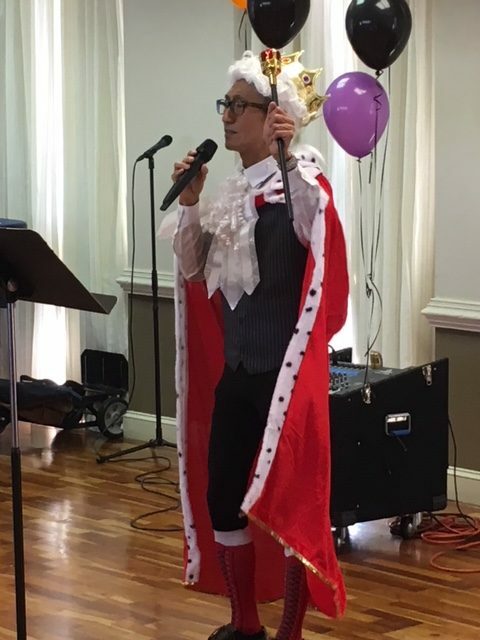 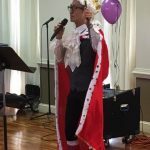 This year highlights our chair dancers, residents line dancing to Marcarena and Dancing Queen, the Community Life Director acting and singing as King George III from the musical Hamilton. 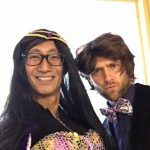 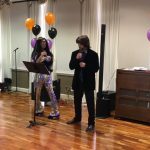 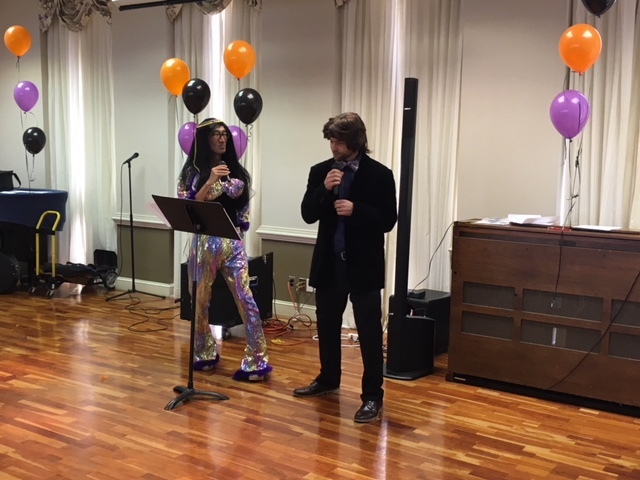 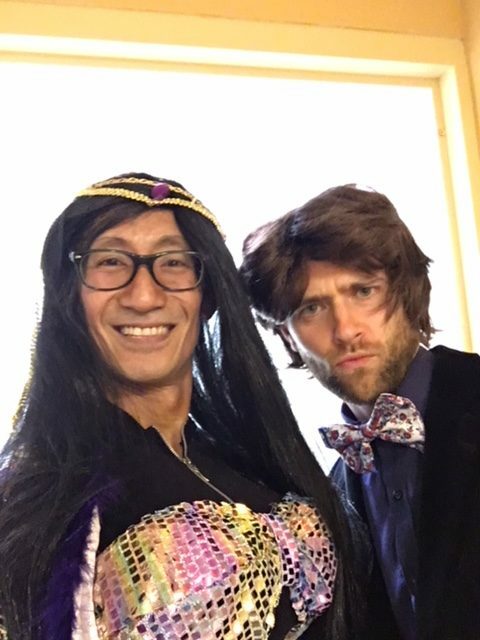 The finale brought the house down with the special performance by the Executive Director John NIebauer (as Sonny) and Community Life Director Dennis Del Rosario (as Cher). 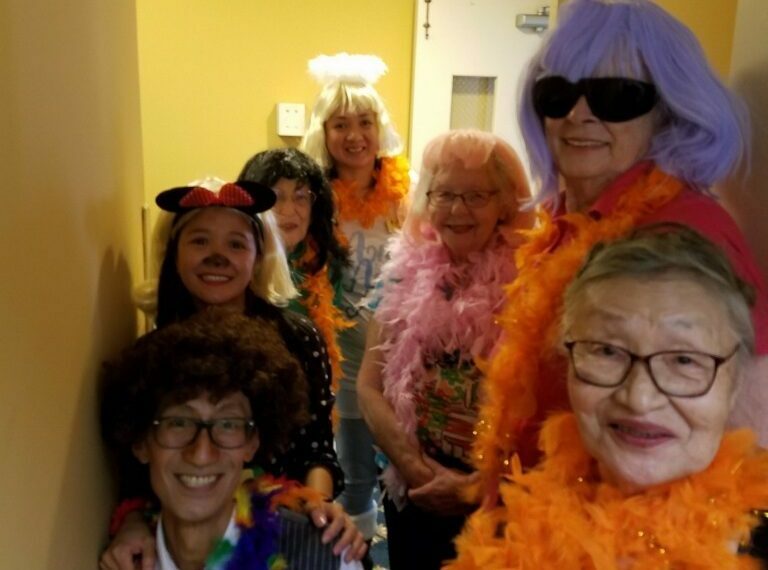 Residents and guests cannot stop laughing and talking about how much they enjoyed the entire program and cannot wait for another event like this!